If I have one criticism of this book it is that Jim Steinmeyer has chosen a subject, about which, there is just too much information to absorb in just one reading. I'm sure that I didn't take in half of the content. Fort was a strange man, of that there can be no argument. Perhaps a genius, perhaps a crazy bloke. I still am not sure. One thing is for sure - he was different. What's more, he ruffled a few feathers too. Perhaps he chose to ignore the facts that didn't fit with his train of thought, maybe he fashioned things to suit his proposition, I'm not sure. He dealt with all the weird stuff, some (not all) of which has since been explained or, disproved. Still, he asked questions that others avoided and he was, undoubtedly, blessed with an intellect 100 years ahead of his time. Once cannot help but wonder what Fort would have done in the Internet age. 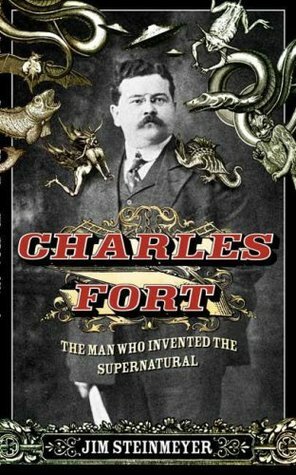 Sign into Goodreads to see if any of your friends have read Charles Fort.